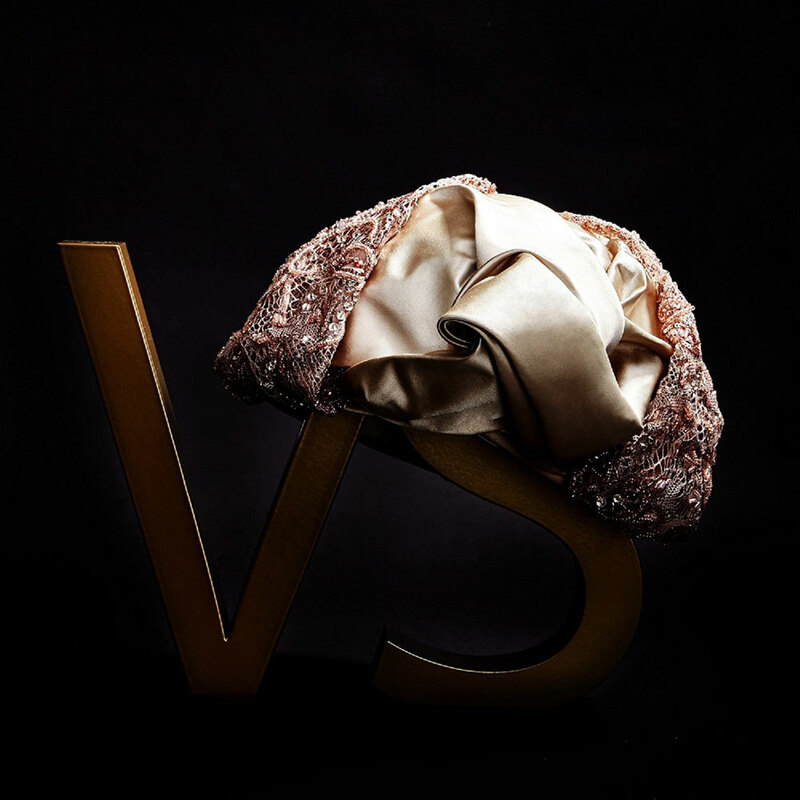 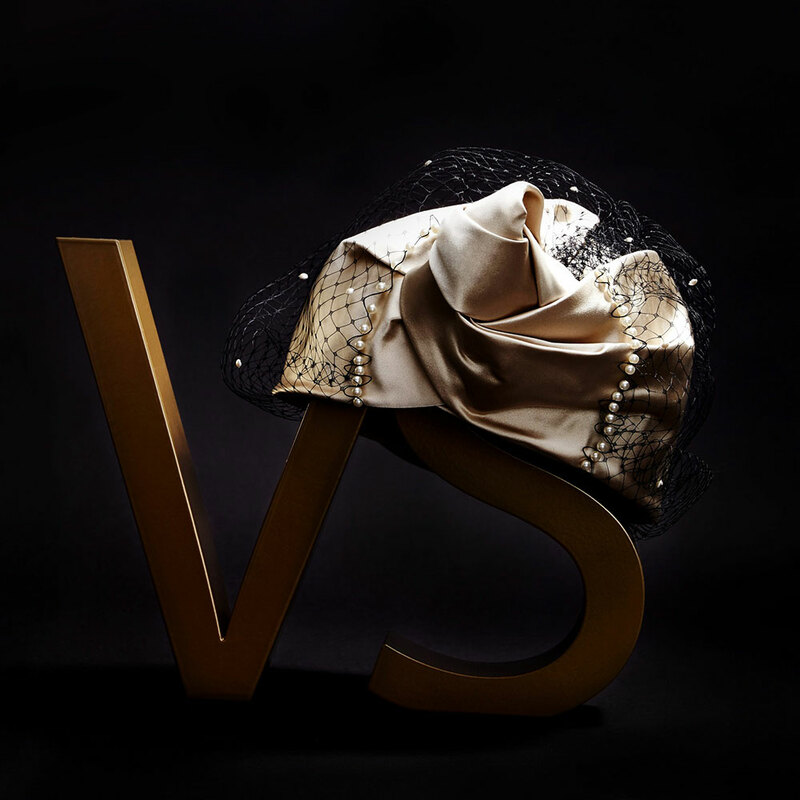 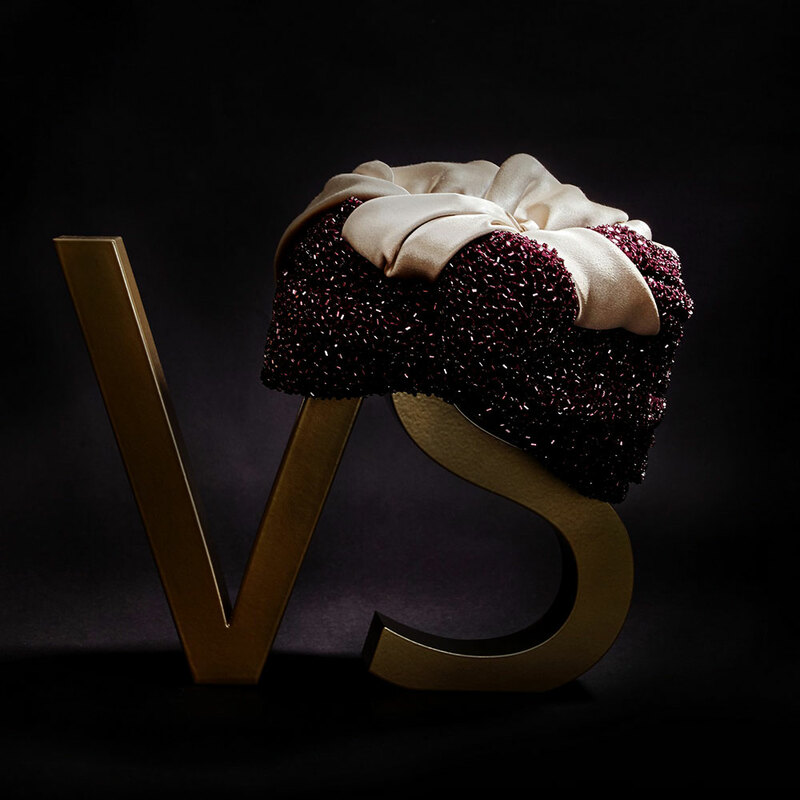 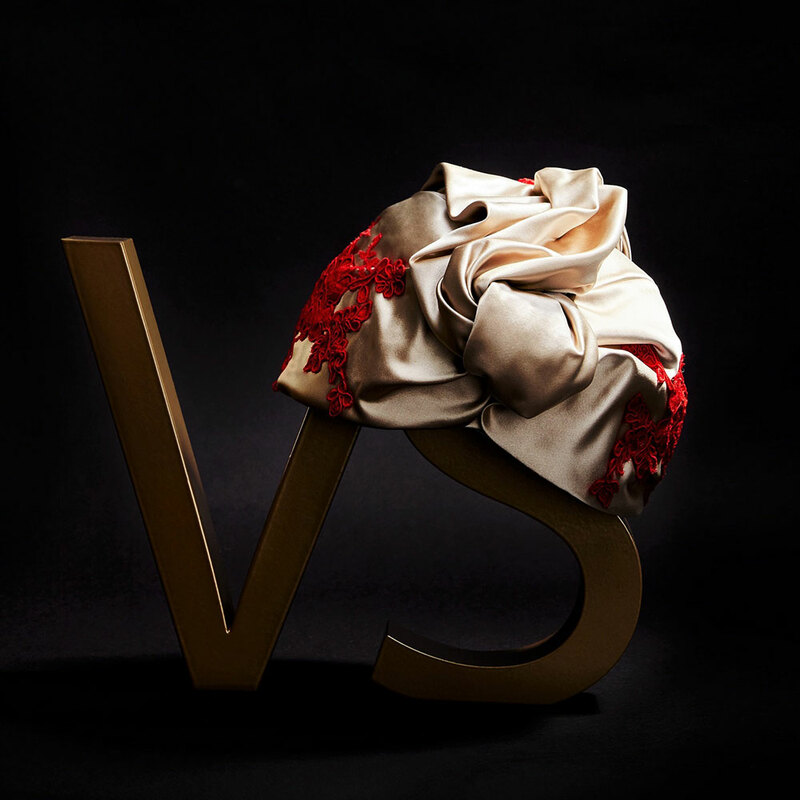 Silk turbans made of duchesse satin by Veroniqué Salagean, fabric brought from Italy. 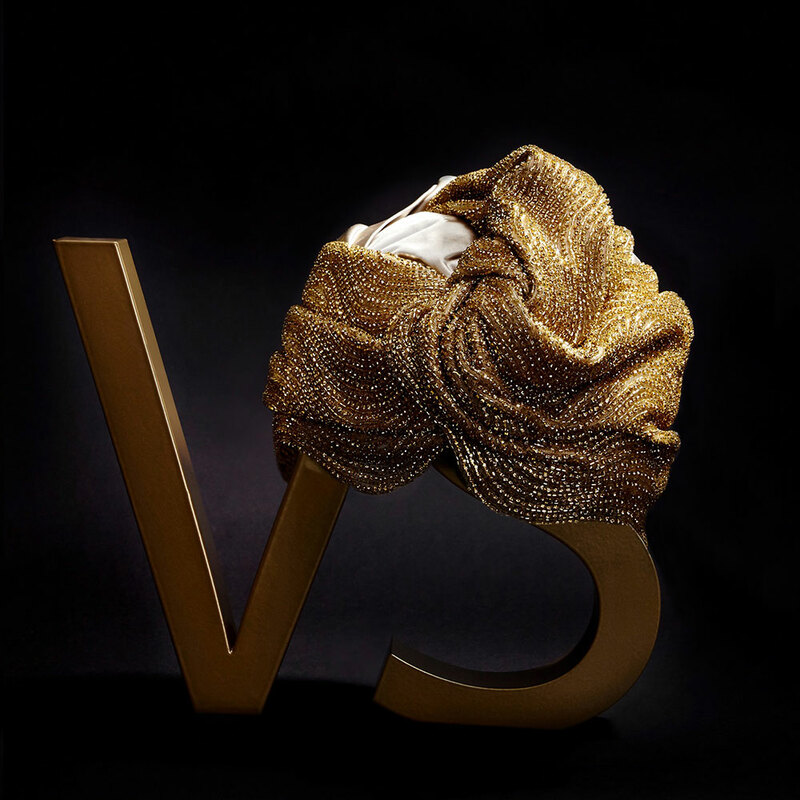 Designer turbans made with beaded silks that hold heavy mirror crystal beads. 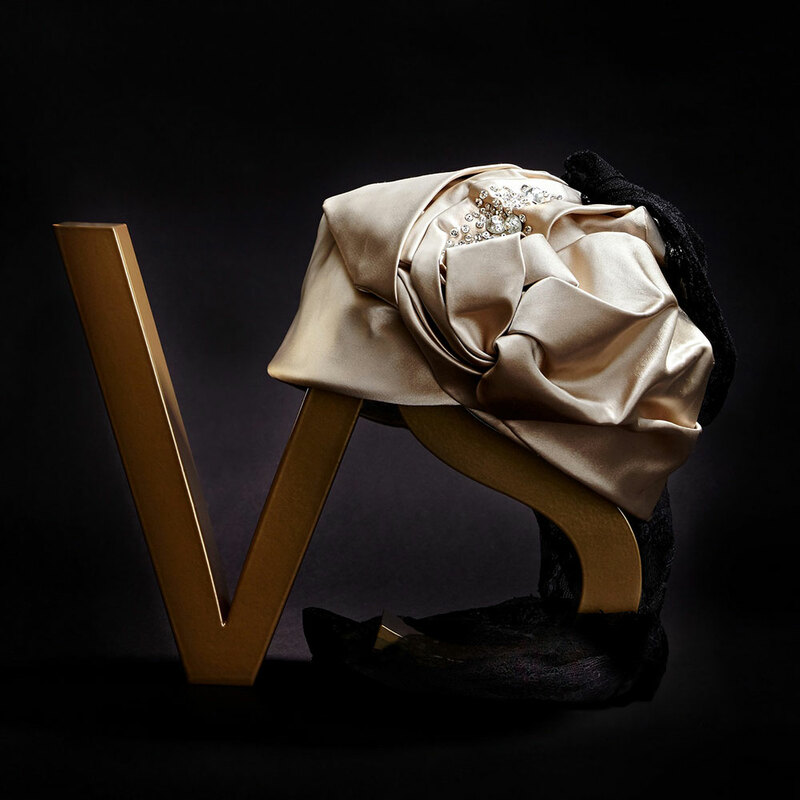 VS the Duchess is especially dedicated to the night wear for the most powerful ladies.